In the winter, scope for Common Goldeneye, Red-breasted Merganser, and Common Loon. A large assortment of ducks can be found in the cove, along with Ruddy Turnstone, Spotted Sandpiper, Great Blue Heron, Reddish Egret. 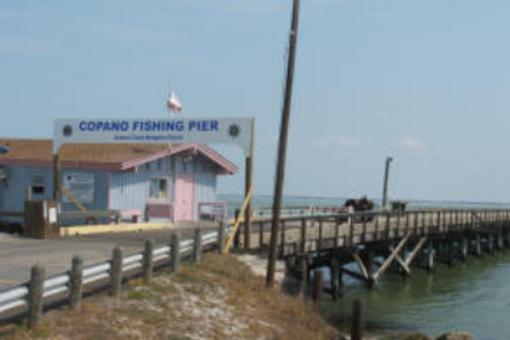 Copano Bay Fishing Pier Copano Bay Bridge on Hwy 35 This pier is actually part of the old highway bridge. You can access the pier from the north and the south. Recently, a large parking lot and restrooms have been built at the south end of the pier. There are also picnic tables near the south cove. PORT BAY ROAD This site is located at the north west end of Port Bay road off of Farm to Market Road 1069. 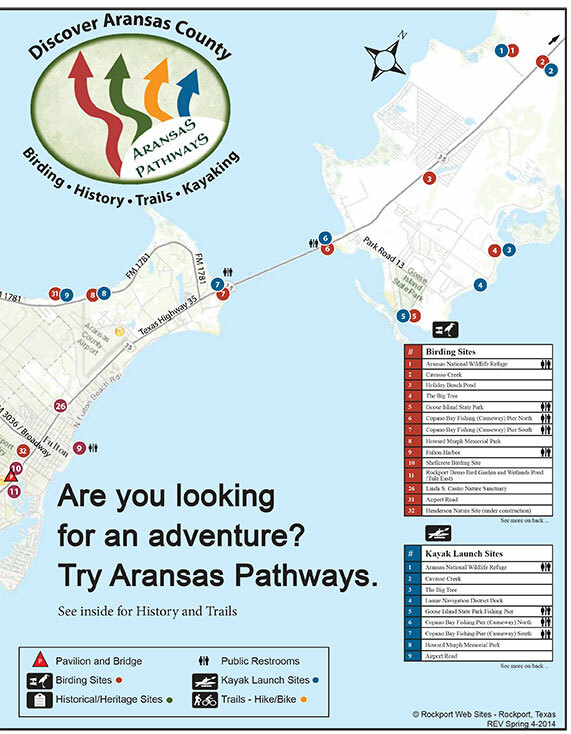 It is an existing public access site to this part of Port Bay. Most of Port Bay Road is a fair weather access road and is subject to rutting in rainy weather. This area of Port Bay is known as a good winter fishing area.